Fixing residential sewer systems without having to dig or excavate is our passion, we have probably repaired more residential jobs than any other company. Our customers really do appreciate and love our trenchless solutions. We offer a LIFETIME WARRANTY with our sewer pipe liners. It costs less than traditional repair and takes less than 24 hours to complete in most cases. Make sure you ask about our customer testimonials! We offer a full service of support from start to finish, in fact a lot of our customers in the past have invited their friends and family over to watch us perform our jobs. It’s pretty amazing to think we can prep and clean pipe then shoot the liner inside your pipe and have it fully restored by the end of the day. Most residential sewer pipes are 4 inch in diameter and can range from clay tile, to cast iron to orangeburg and PVC. Our epoxy based lining systems can repair it all with no worries. The biggest complaint we have are tree roots inside the pipe causing it to leak or back up. 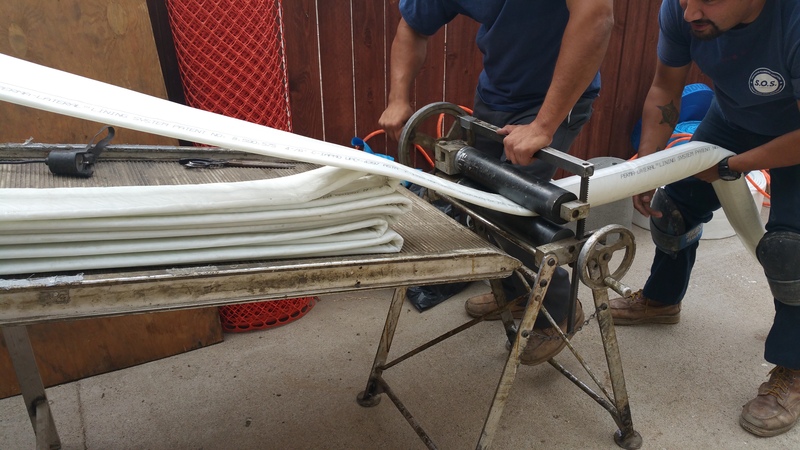 Our pipe liners seal out all joints (areas where roots enter a pipe) and permanently remove any future tree root penetration leaving you with a one long monolithic piece of pipe. Give us a call today and let one of our Trenchless Team experts give you a FREE ESTIMATE for Residential Trenchless Pipe Repair Philadelphia.